A long journey accompanies this blog post so bear with me. 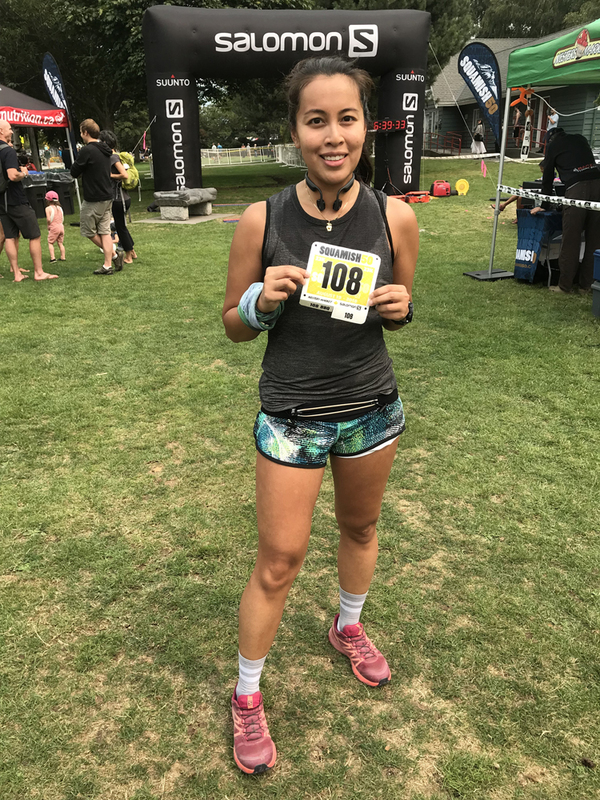 I planned to run the 2017 Squamish 50 23k but due to lack of training (and confidence) I decided to bail. I’ve regretted it ever since and vowed to do it the following year. 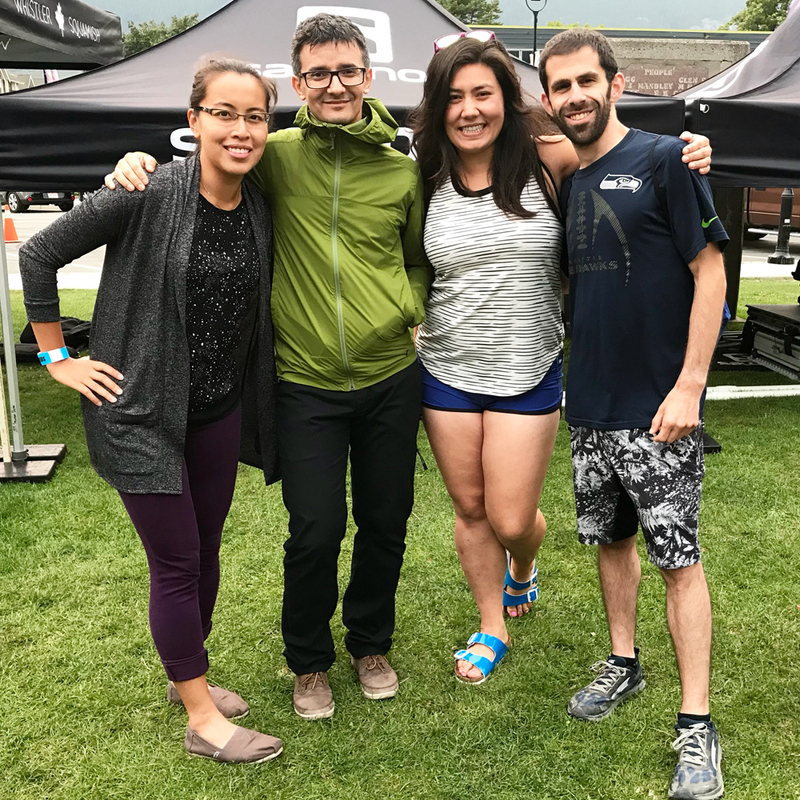 What sealed the deal was Cuski declaring that he was going to run his first ultra at Squamish 50. To give you a bit of an idea, Cuski is primarily a cyclist who had never run longer than a 10k. 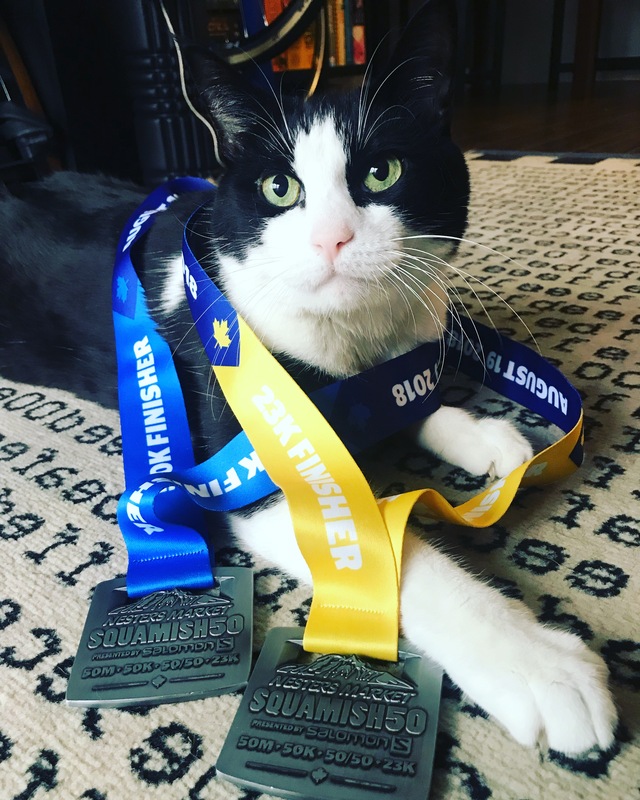 If he can do a 50k (I had no doubt he could), I can do a 23k. 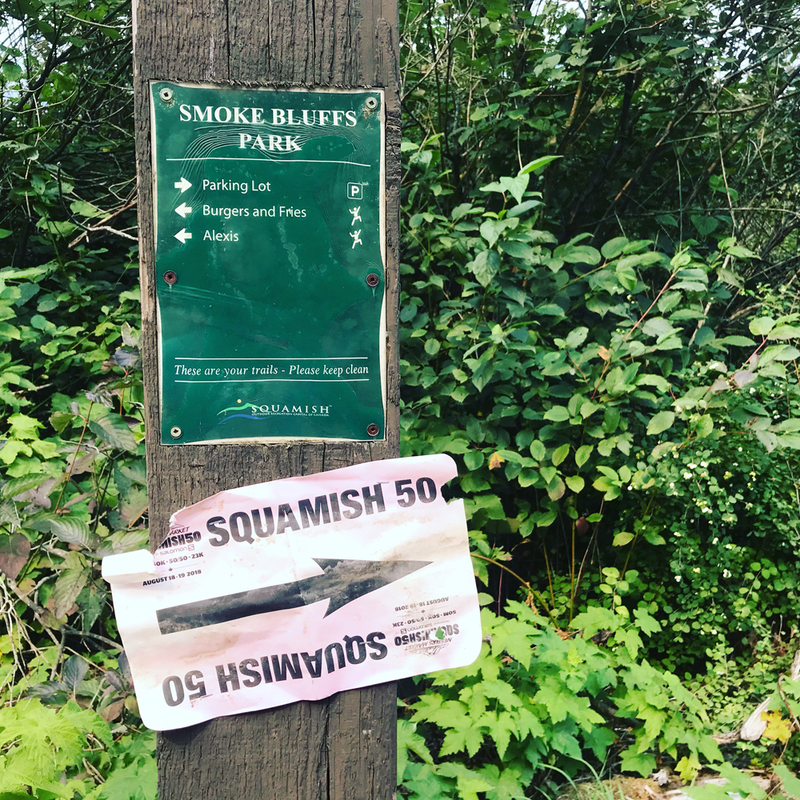 Burgers and Fries or Squamish 50? To say I over-prepared is an understatement. That’s just my nature though 😛 I had a lot of things to work on so as soon as I signed up, I started training. To ensure that I can accomplish that distance, I signed myself up for 2 25k trail races earlier in the year. Unfortunately both races were a week apart, which added to the challenge. 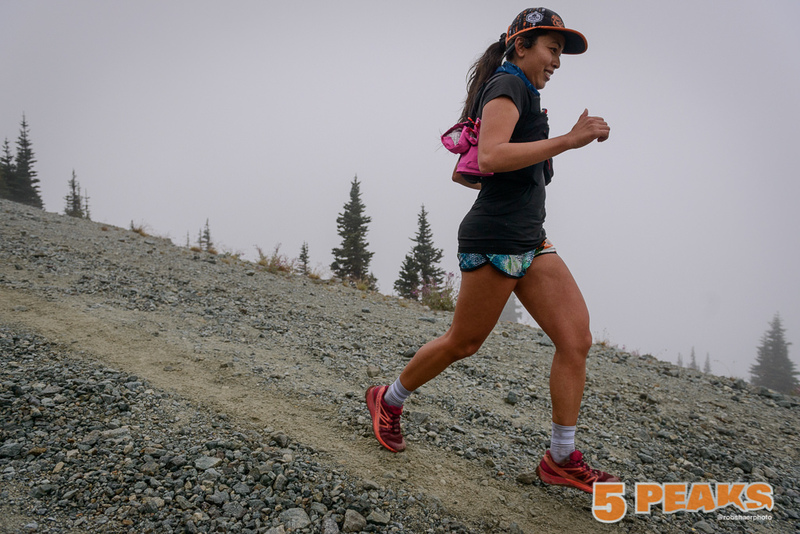 It was the Sun Mountain 25k and Foretrails Iron Knee. These two races were a great test to see where I was at. Sun Mountain was non-technical and hot so I was heat stressed and my endurance was tested. Iron Knee was a lot more technical which tested my focus, balance and technical running skills. Long story short, both races went well and you can read more about them on the links above. I also went on training runs with various groups/friends to keep training fun. Thankfully, Cuski was training too so I’d tag along with him, do my own run and meet up with him after. It’s good to find like-minded people to go adventure with. It makes the whole process more enjoyable and could make you a better runner. 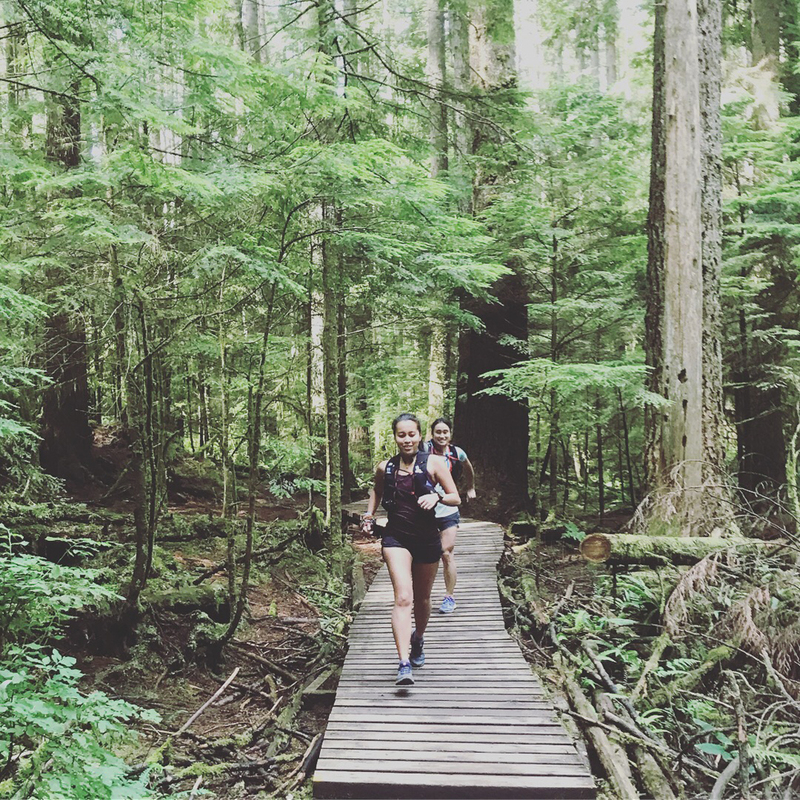 Initially, I was uncomfortable about training in the North Shore by myself but after running there all year, I’ve gotten to know the Baden Powell trail and some of the Mt. Fromme trails pretty well. Part of what I wanted to work on was my downhill confidence and quick feet. I really liked going up to Mt. Fromme and ran repeats of the Bobsled and Floppy Bunny trails. The repetition really helped. 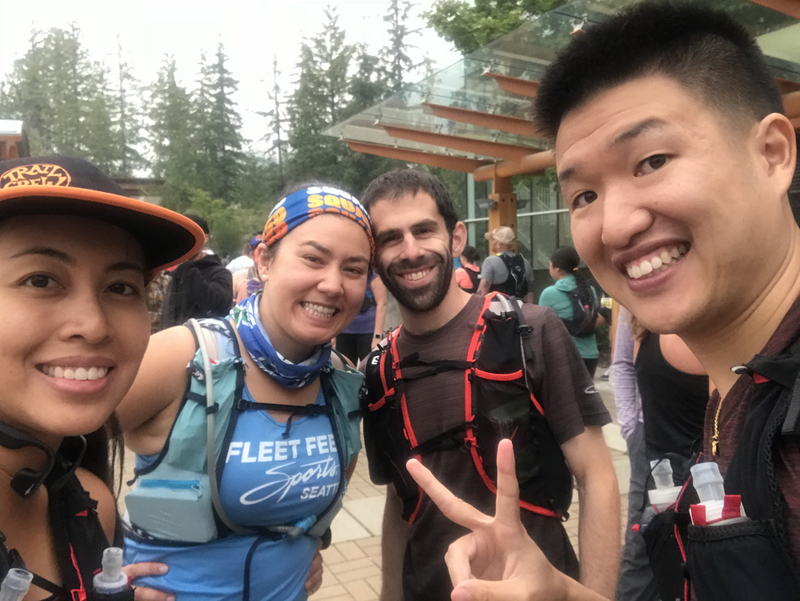 Leading up to August, Cuski and I ran a bunch of trail races. Since I am a 5 Peaks Trail Crew Leader, I ran 5 out of 6 races this year, all of them the longer distances. It was another test of my limits and great practice on various terrain since each race is so different. It helped me identify skills I’ve improved on and still need improvement on. Lastly, what really helped was knowing part of the course. 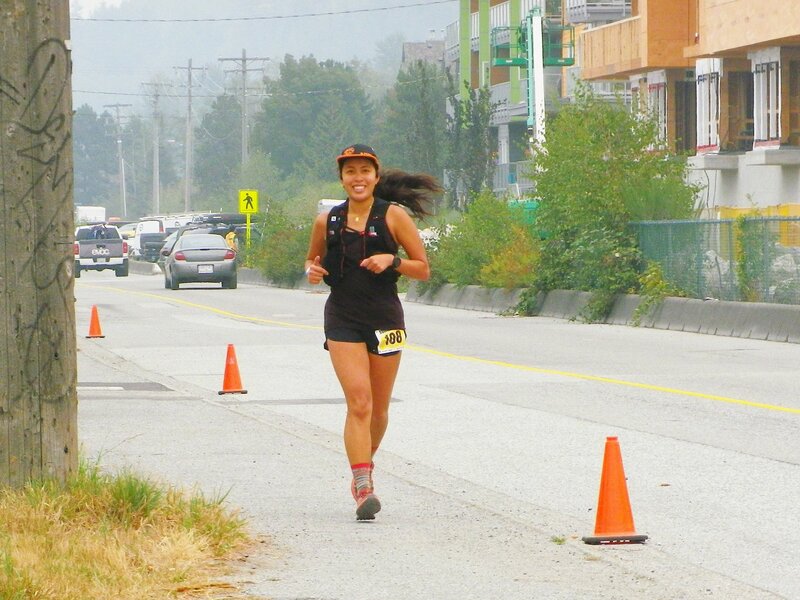 I joined the Survival of the Fittest Orientation Run and one of the Squamish 50 orientation runs. The SOTF orientation run covered a good chunk of the first half of the 23k course. The SQ50 orientation run dealt with a bit of the 50 mile course (tough!) and the beginning of the 50k course. Although it didn’t cover the 23k course, insight into what kind of terrain I could be expecting was worth the whole trip. We arrived in Squamish Friday night. 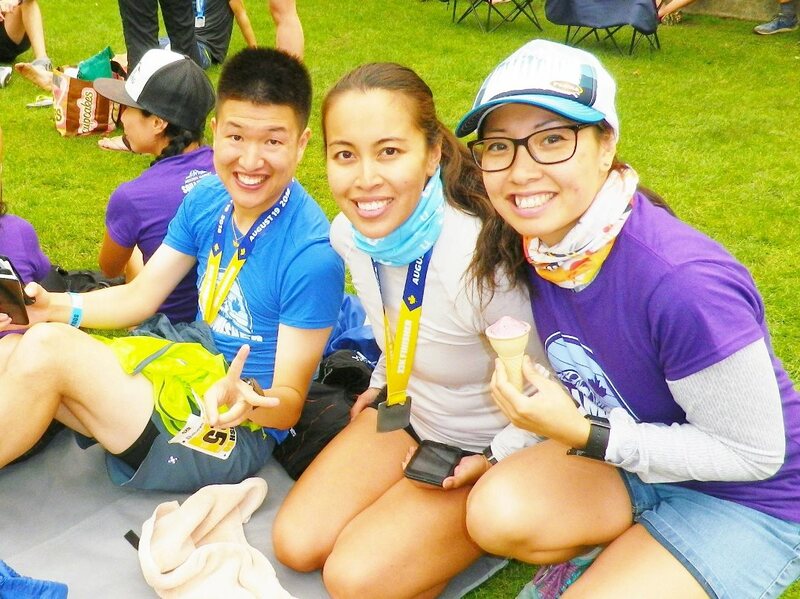 Saturday was reserved for a quick shakeout run, package pickup and cheering on the 50 milers. 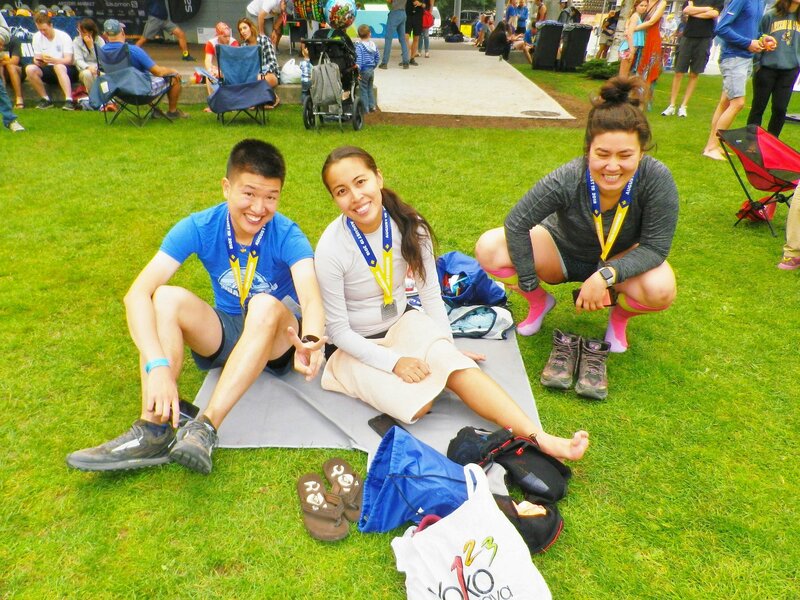 Our hostel was conveniently located along the final kilometre so we also spent some time at the backyard cheering and looking for friends about to finish their races. Our friends from Seattle, Amanda and Dan were running the race too (23k on their anniversary) so we met up with them for dinner at The Salted Vine. It was a great restaurant, I recommend going next time you’re at Squamish. On another note, we also enjoyed lunch at the Copper Coil Still and Grill and dinner after the race at Sushi Sen (long lineups so get there early or reserve if available). Squamish 50 race organizers make it super convenient for us by organizing shuttle buses to the start line ($5). 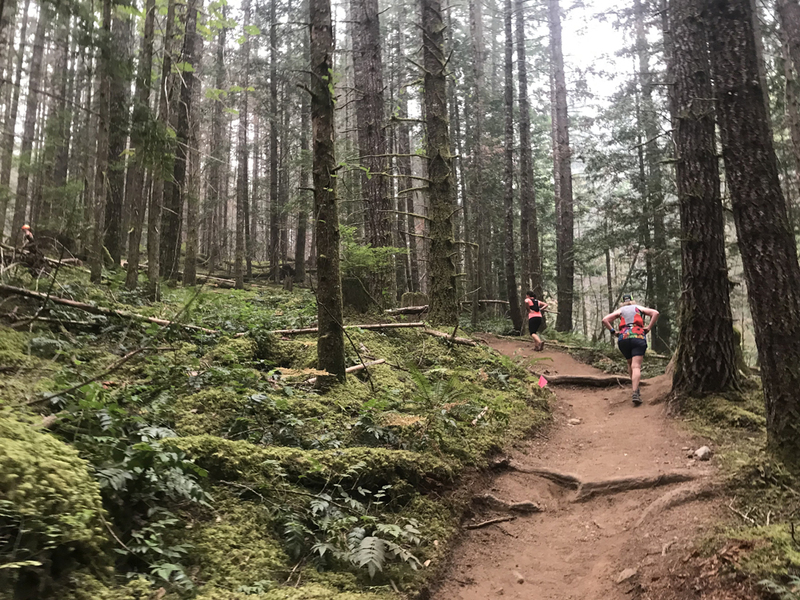 The 50k starts at Alice Lake and the 23k starts at Quest University. At 3 AM, our alarms rang and we sprang into action. We went to the nearby McDonalds for breakfast and then brought the car to the lot where the shuttle buses were parked. Cuski left earlier at 5 AM and I took a nap in his car until it was time for me to leave, around 7 AM. The air was a little smoky due to the forest fires. That was a bit concerning since we were going to be out there for a while and well… we kinda need to breathe. 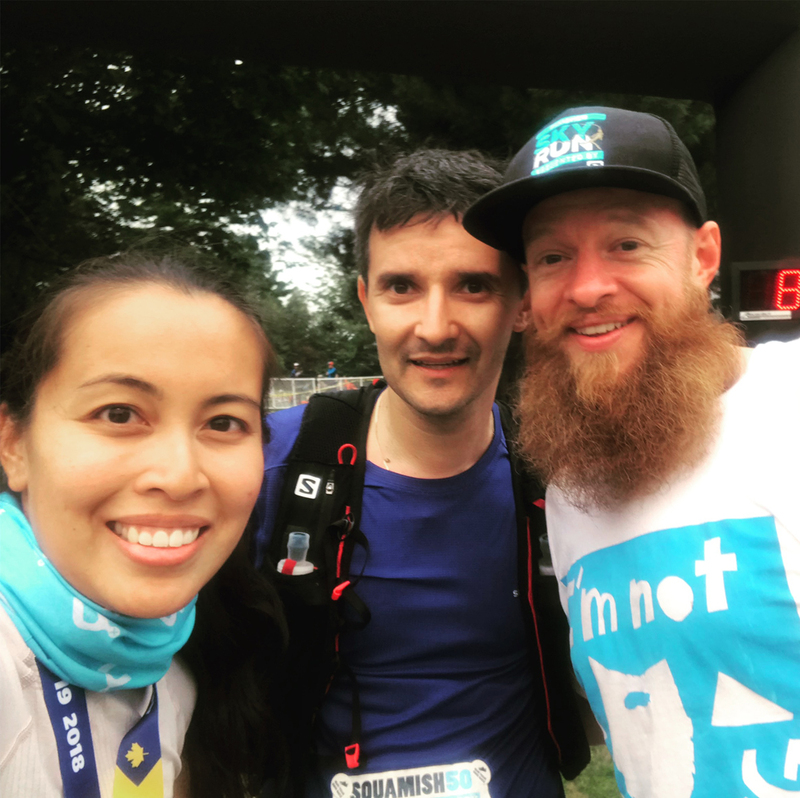 Race organizers gave us the opportunity to back out via email the night before. We came all the way out here and trained for months, we had to at least try. I was nervous but pumped about this race. I was confident about the first half but the second half was a mystery. From what I read, it’s tough. The race starts off with a few kilometres of climbing. I was ready for it and ran as much as I could, power hiked for the rest. I felt great, confident, and managed to attack downhills with more ease than I used to. The first aid station came up pretty quickly (around 4 or 5k) so I only took a handful of chips and kept going. What lay ahead was a bunch of technical trails that were quite fun. It was very dusty so there were some iffy sections (clearly another thing to work on). The course is full of amazing single track and very well-marked. I’d be surprised if anyone got lost. I made good time and eventually I was approaching Farside, the last aid station before the finish. I wish I had taken photos of that aid station. It was Barkley themed and the group did it justice. There were bugles (the chips), plaid shirts, license plates, John Kelly’s orange toques, the easy button, and more. At this time, I got a text from Catherine, who was volunteering at Quest University (his 27 km mark). Cuski had just arrived and looking good. I knew I had to hustle because there was a chance that he could potentially catch up to me (which I didn’t want). I said quick hi’s and goodbyes to my friends at Farside and off I went. This next part wasn’t too technical but omg there was a lot of climbing. It was undulating and eventually up the Mountain of Phlegm. At this point, I started cramping. I made the mistake of only refilling my bottles with water. I didn’t take the time to put electrolytes in even though I had them. That’s something I will never do again. Going down the MoP was a little precarious so I took it easy. Trying not to cramp and shimmy down the mountain at the same time is tough. Happy that my road legs finally kicked in on the last few kilometers though. The trail through Smoke Bluffs was mostly gravel so I powered through as fast as I could. I saw Sigrid course marshaling not far from the park and BAM my cramps started. They affected my inner thigh (don’t know why) and I had to walk a bit, which was disheartening. I was super close so I did my best to run and finally, I saw Debra course marshaling by the entrance of the finish line chute. It was so great to see her and I powered through for a strong finish. My goal was 4 hours 30 minutes and I managed to get it done in 4:01:11! It was NOT an easy race but it was very satisfying. Check out my Strava here. We hung out and waited for Cuski and our other friends to finish. He did amazing and got in at 8:29:23… an impressive ultra debut. 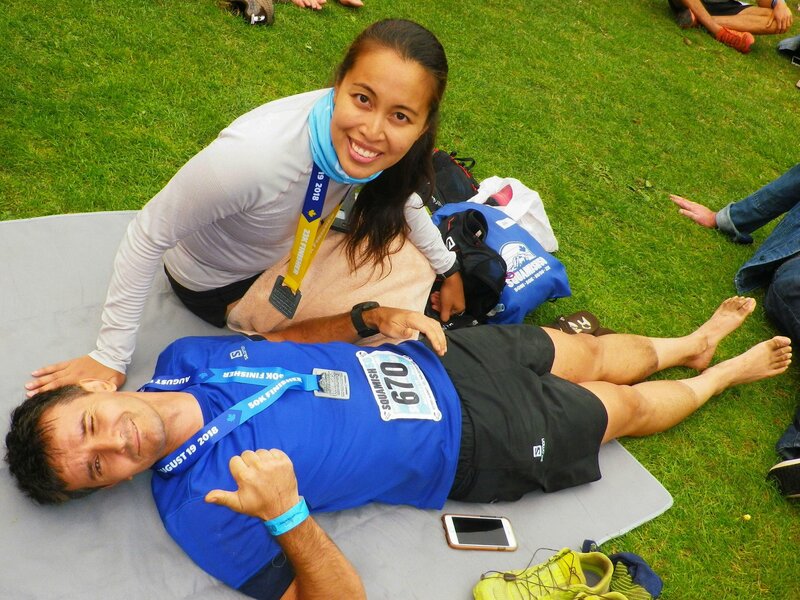 Despite some cramping in the latter part of the course, he managed to pull it together and get it done. The next morning, he was already thinking about his next one. Looks like we’ll be coming back to Squamish! He inspired me so much that I think we’ll be doing the same race next year. Yes you heard it here first. I want that ultra runner status too! He did it!!! Thank you Gary Robbins + SQ50 team for an amazing event. This event, as with any event directed by Gary Robbins, is very well-organized. From registration to post-race, there was no doubt as to what’s happening. There was a good amount of reminder emails, including refund deadlines and orientation runs. They even emailed us at 10 PM the night before the 50/23k race to give us an opportunity to back out due to air quality issues. I don’t know if anyone actually did but it really shows that they care for our health and safety. Maps to all the important places were clearly laid out. They even flagged the way to the parking area since you’d be getting there in complete darkness. They had gear drop off at the start line and all the bags were sent to the finish line. All the volunteers were fantastic. Thank you so much for being there for hours or even days! The aid stations are amazing and well-stocked. I’m sad I didn’t linger, and in my haste I forgot to grab some Coke. 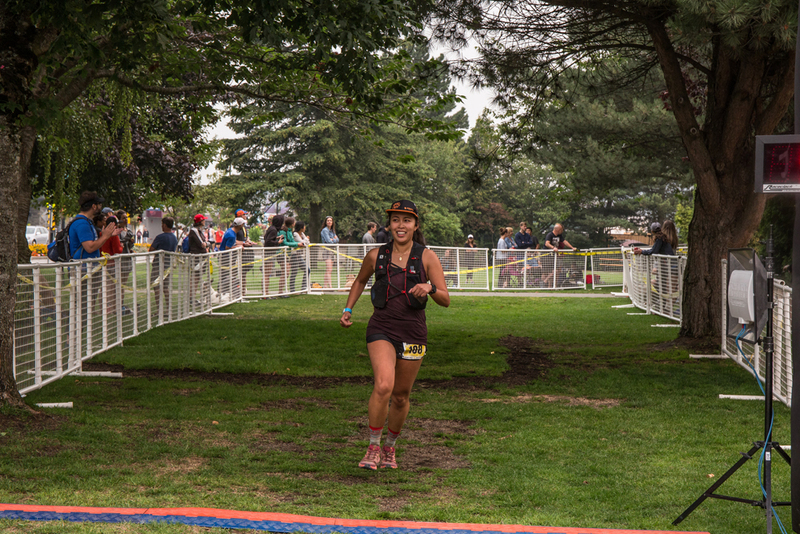 Everybody had a smile on their face and was very encouraging throughout the entire race. THANK YOU Gary Robbins for designing such great courses. The love you have for the sport and this community shows with every hug you give every sweaty finisher. It’s the best part of doing your races. They didn’t lie on the website. 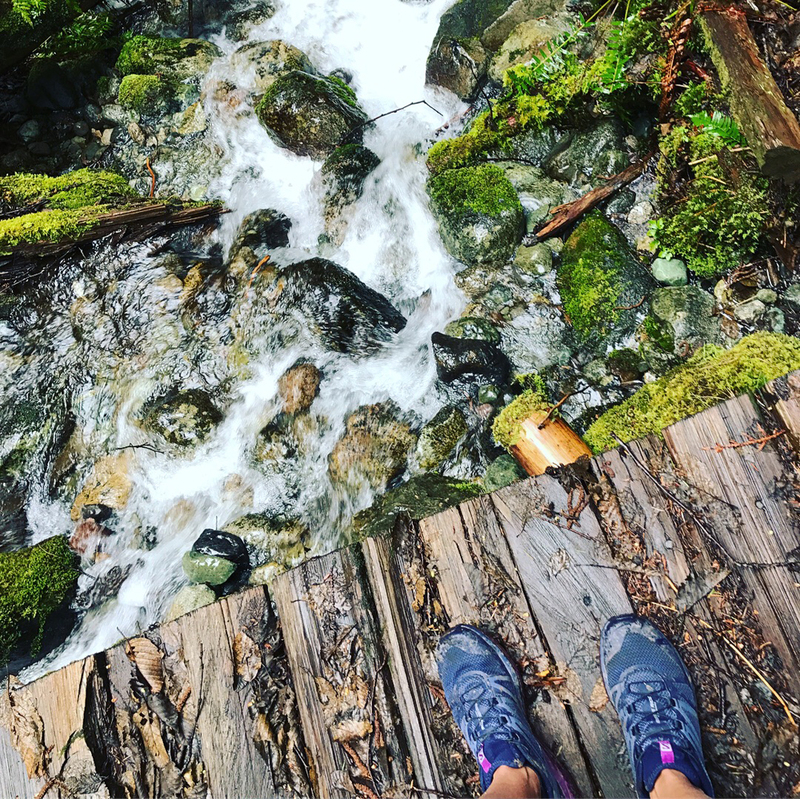 This should NOT be your first trail race. The course is well-marked, I don’t think there’s any way you can get lost unless your head is in the clouds. It is tough, technical and primarily on mountain bike trails and service roads. It starts off with a climb to the first aid station and from there you get to enjoy a bit of a downhill with few iffy areas. You then climb again for a bit before you enjoy a fast, aggressive downhill, which was quite fun and not too tough. When you reach the bottom, you climb up again, there’s a gravel road leading up to the Farside aid station. From there it’s up and down for the last 10k on intermediate trails before you hit the last climb of the day, the Mountain of Phlegm. Focus on your legs when you’re descending because you’re tired and some parts are kind of steep. I may have been extra cautious at this point. From the Smoke Bluffs it’s mostly gravel and road back to the finish line. For a more detailed description, click here. If you’re not too comfortable going downhill, I’d suggest you practice as there are lots of opportunities to misstep. Most of the trails are singletrack as well, which is amazing, but could be a bit nervewracking for a beginner. So, practice before you attempt this. 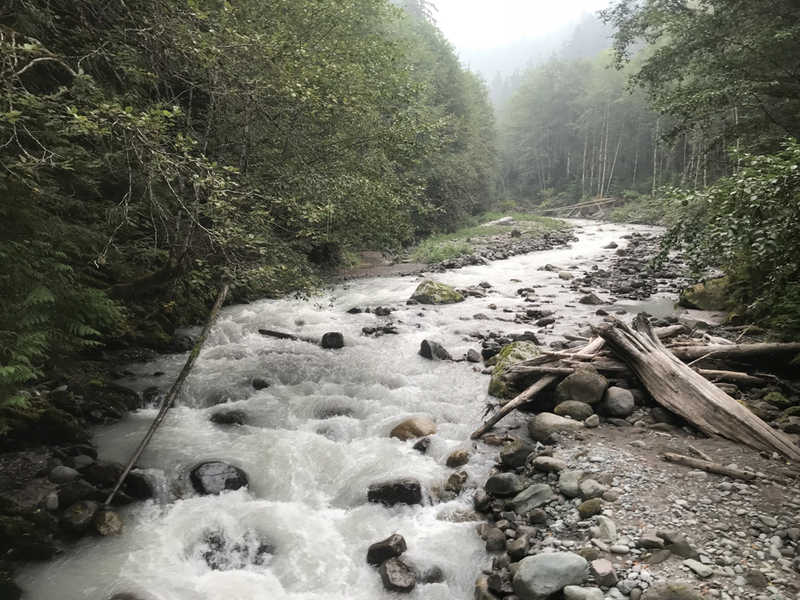 It was smoky so we may have missed some views but you pass by nice creeks and rivers that may tempt you to stop and take a photo. 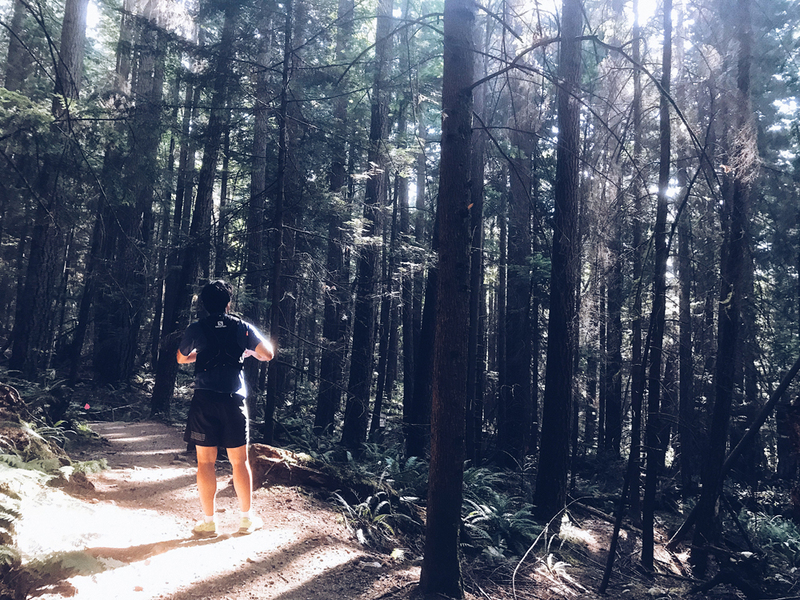 Mostly, you are frolicking in lush Squamish forests. 1 of only 2 photos that I took during the race. Here’s Hobbes modelling both our medals. Yes but I want to try the 50k course this time. EEKS! If you made it this far, thanks for reading. Thanks for following my journey. 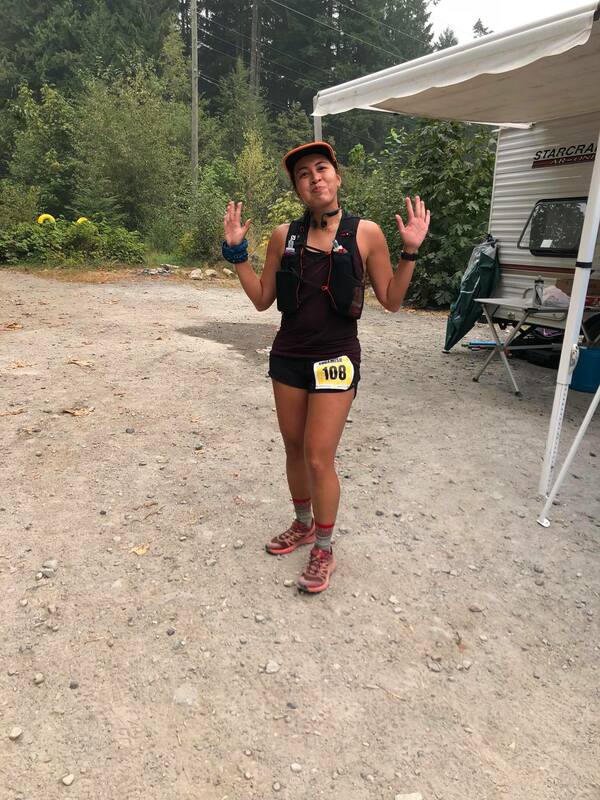 See you next year, SQ50! Great job, Jeanine! You’ve convinced me! I’ll do it in 2019…the 23k distance mind you. Nov 23 I’ll put my money down. Good luck in Chicago! It’s my favourite US city and I’d love to go there for a race. That’s great! Don’t forget to sign up for some 5 Peaks races so you can train as well. Thanks for the luck, I will need it.